The XCSOURCE Intelligent 30PWM Solar Controller at just $14.99 seemed like a cheap solution to replace my renogy solar controller that I fried. Unfortunately, I was mistaken. The solar charger arrived in a small box, with a sparse manual, straight from china (what isn't these days?). I plugged it up, and was happy to see all the usual green lights. I thought I was good to go, until I happened to glance at the volt meter hooked to my batteries, right as the sun was going down. They were at 12.0 volts! This is below 50% discharge (12.2) and way below what I would expect after the sun just went down. My nephew was running my fantastic fan on high however, and maybe that was the culprit (combined with the refer). So i shut it all down and waited for the next day. On the next day when i checked I discovered something very odd. 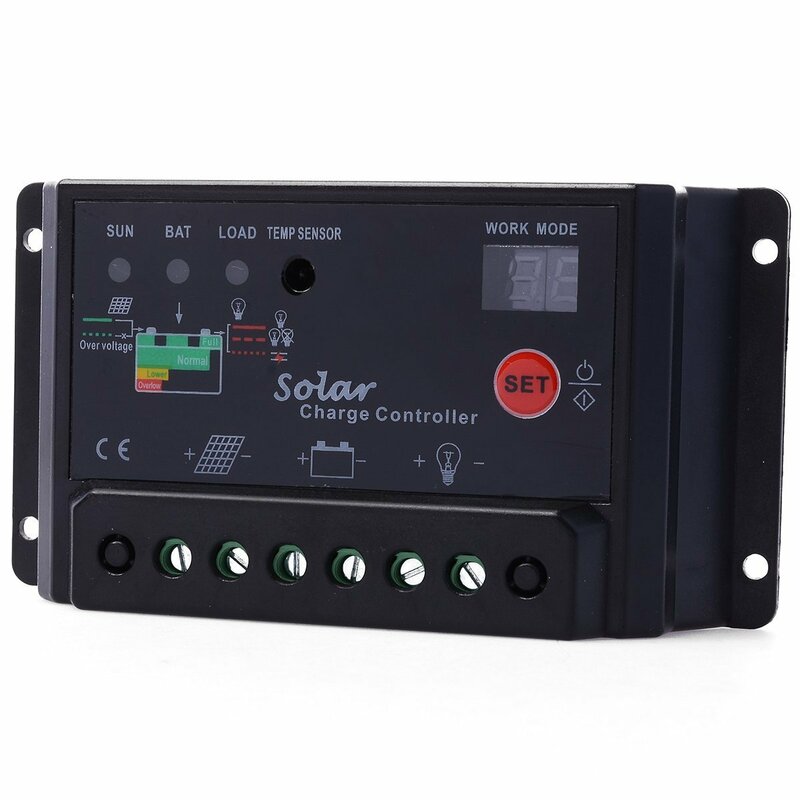 In full sun, the voltage was at 12.4, and the charge controller was blinking like it was in float charge (full or nearly full). This is not the normal behavior, usually in bright sun the batteries are min. of 12.7 and almost always around 13. Something was wrong. I double checked the connections. I would check the voltage later and it was up to 12.7, that was better, but then again when the sun went down, it dropped down to 12.2 fairly fast. I thought maybe the batteries were going bad. so i charged them that night with shore power and battery charger and they charged up like they have in the past just fine. Let the solar take over the next day and the same strange behaviors occurred. From what I can tell this charge controller doesn't seem to be charging the batteries enough, entering float charge seemingly at random. I thought I could adjust this, but I could not find a way to do so. I lost the manual and packaging, so no help there. Whats worse is I couldn't return it without at least the packaging. One for the junk pile i guess. The Replacement for the replacement. I decided that I have to bite the bullet here. I could have gone a bit cheaper, but I was tired of dealing with this, and my food was in danger here, which costs me in the long run. 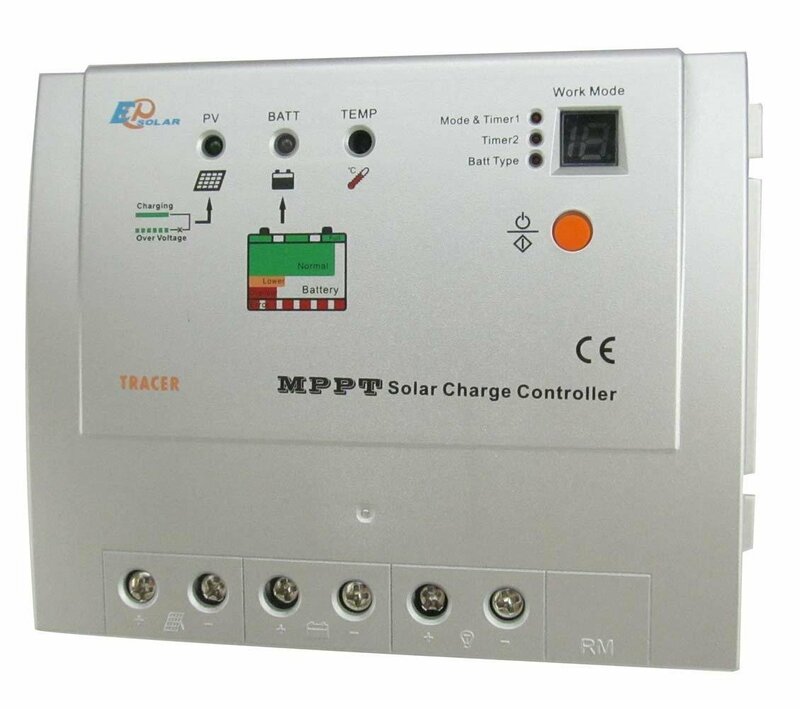 So i pulled out the ole credit card and upgraded to this Tracer mppt solar charge controller. At least it claims it is a tracer, I am not sure, as it also had other branding from beijing when it arrived. The manual certainly looked a little better translated than the last one. Before I even opened the box I could tell the difference between this and the others. It must weigh 20 times as much as the renogy or xcsource combined, with enormous heat sinks on the back. I installed it yesterday evening, but the sun was low in the sky. Even then it jumped my battery from 12.2 to 12.7 until the sun was gone (then it dropped back down, as not much charging time). 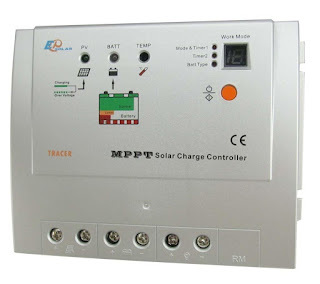 I charged the batteries that night with shore power so i could run my refer, and today the mppt has my batteries in the sun charging with 14 volts. This is a good sign! Ill keep you posted on how this works out with a future review. If it works out I might get the little computer accessory in the future so I can plug into it for cool information, like panel output. The xcsource or the mppt one?